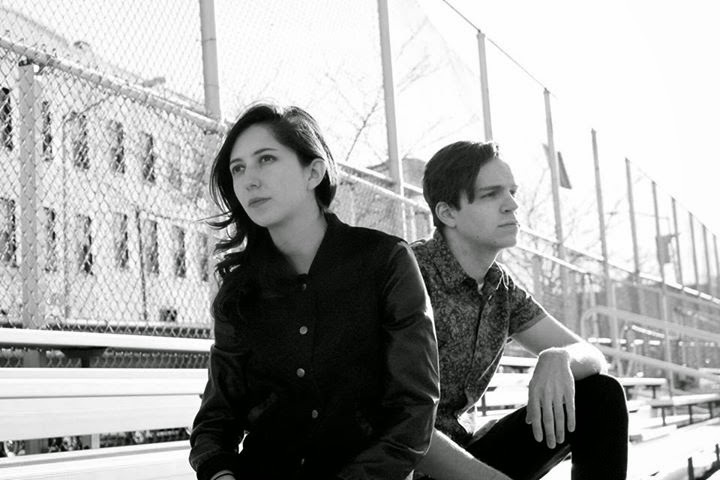 Velvet Blue Music has announced the addition of NYC based Soda Shop to the label. The band will release a new single, Keep Swimming, on August 4th and the band’s self-titled full-length debut will hit shelves and digital outlets on September 8th. You can read their bio below. “The NYC based Soda Shop began as the duo of Drew Driver and Maria Usbeck. “I had some demos and a band name, but I couldn’t find the right person to sing on them.” Drew recalls. “Fate led me to Maria. We met at a crowded Summer Air France DJ show and talked about music I was making. I invited her to listen to the demos and things immediately clicked!” Both NY transplants, Drew from Ohio and Maria from Ecuador, the two bonded over a shared experience of starting over in an exciting, transient city. When they discovered they lived a brisk ten minute walk from one another, their friendship solidified . They began writing songs immediately. Though neither of them is new to music–Maria fronted the buzz band Selebrities, while Drew had been moonlighting as the guitar player for The Drums–they were impassioned by the sounds they were creating together. Soda Shop released a single which quickly appeared on UK’s BBC 6 and Sweden’s P3 Pop. Recently they began playing live shows, enlisting bassist Ed Chittenden and drummer Derek Lucci. They also began recording their first full length record at their home studio. An obsession with nostalgia-induced perfection is evident on the result: 8 tracks that push the limits of simplicity and minimalism. Mixed by Jorge Elbrecht (Ariel Pink), the record worships clean guitar tones, driving bass lines and uptempo beats, a la early Smiths records.